In 1968 Stub Digre put down $100 on a closed implement dealership building and started laying out his plans for a supper club. After a total remodel, which included installing the proper kitchen equipment, Stub’s Dining Hall & Saloon opened its doors in August of 1969. The dining hall has a classic supper club design featuring tall ceilings and curtained booths that provides a warm, relaxed atmosphere for all diners. The saloon features a piano bar and provides live entertainment. The large Beer Garden was a venue for big bands, rock bands, teen dances, wedding receptions and private parties. The Beer Garden’s 800 square foot dance floor has been enjoyed by young and old alike for many years. 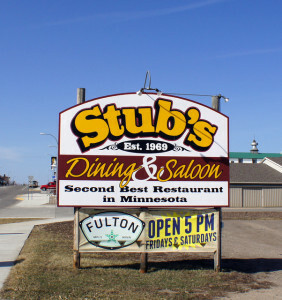 After bartending and managing the bar for many years, two long time employees, Eric Malmstrom and Jerome Teske, purchased the business from Stub and Gail Digre in February of 1995. Their experience and knowledge of the business made for a smooth transition, ensuring that the quality of food and service remained the same. 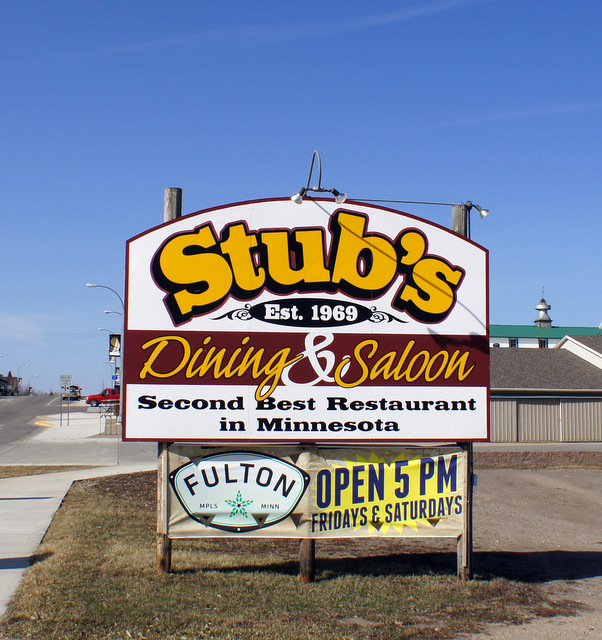 In 2010 Stub’s Dining and Saloon underwent a major renovation. While maintaining its superb menu and service, the owners created a more open and sophisticated atmosphere in the dining room and lounge. Today customers can expect the same great menu and service that was inspired by Stub and Gail Digre. You can listen to the live music in the lounge by Larry Babcock and enjoy friendly conversation and drinks well served by Eric and Jerome.